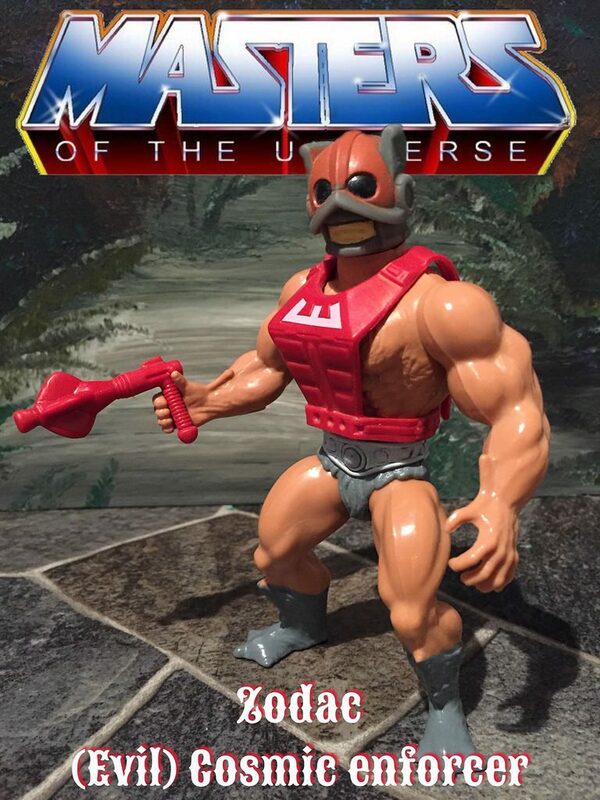 The most enigmatic of all Masters of the Universe characters, Zodac was released in the second half of 1982. 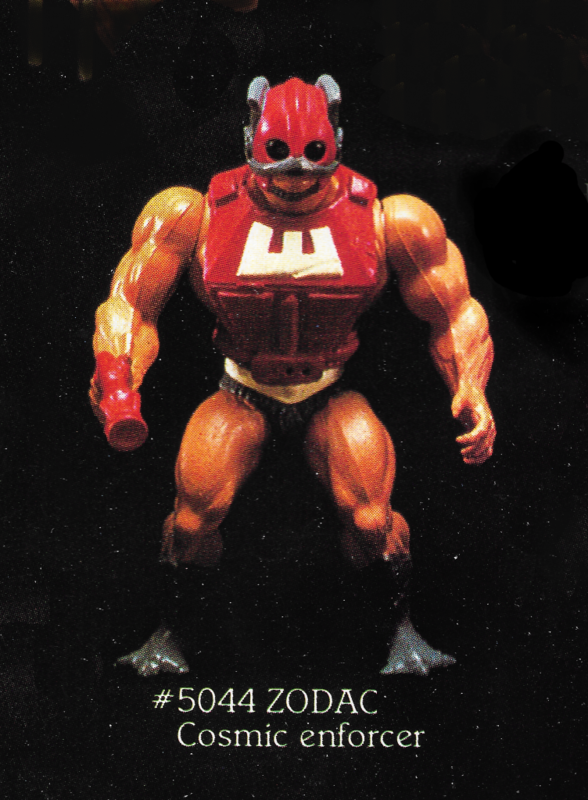 A late addition to the first wave of figures, Zodac was created to round out the original group of eight figures. 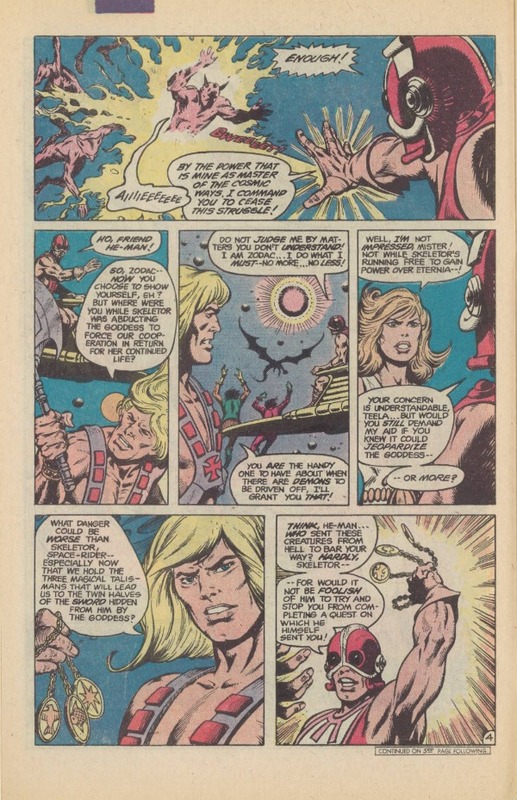 It’s probably fairly well known among fans now that two separate Mark Taylor characters, Teela and Sorceress (aka Goddess), were eventually combined into a single character (Teela). 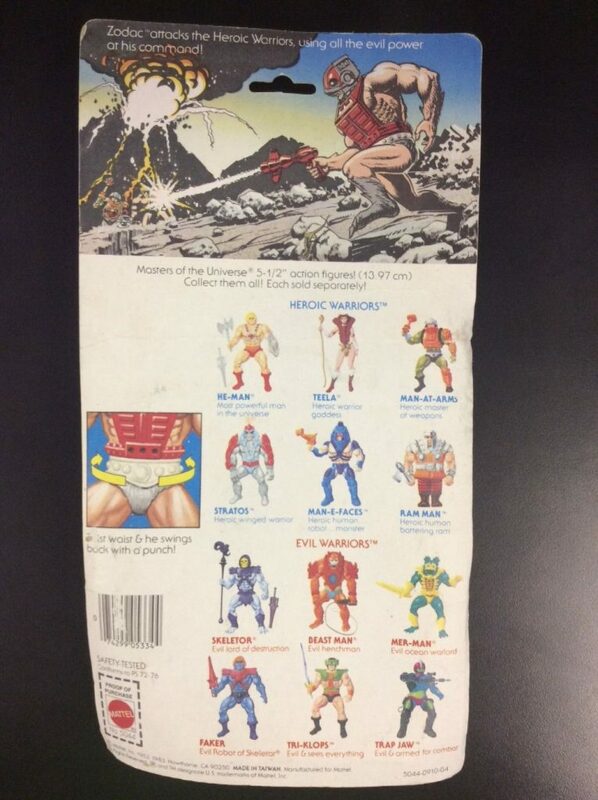 Apparently Mattel’s marketing group didn’t think there was enough demand for two female action figures in one year. That left seven figures for the first year, instead of the eight that were planned. 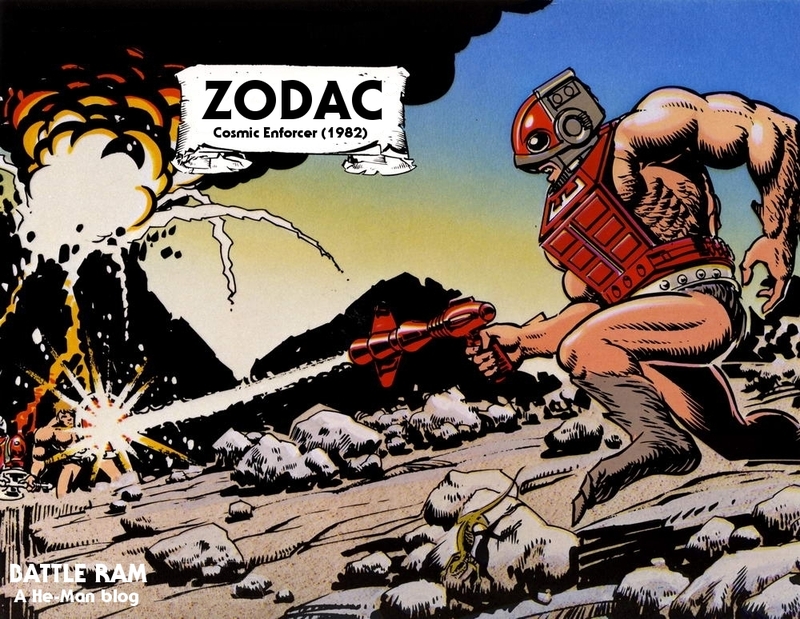 Enter Zodac. 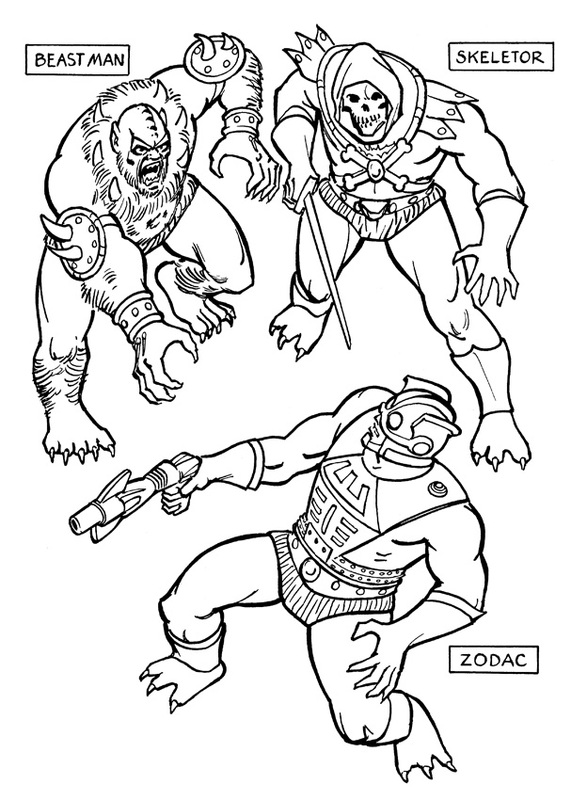 Another Mark Taylor design, Zodac borrowed Skeletor’s arms and legs and Beast Man’s furry chest. 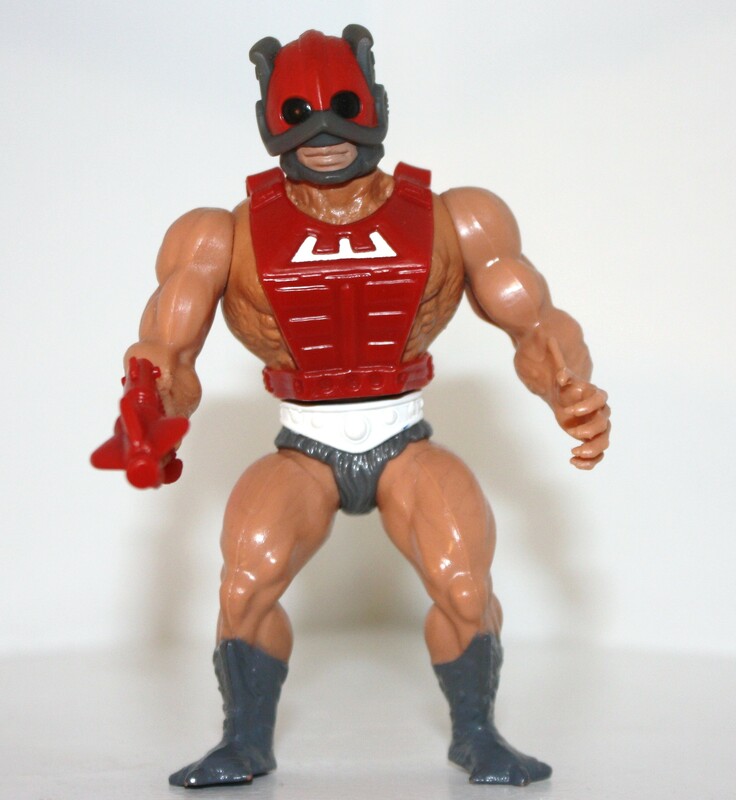 New parts included his head, armor, and blaster. 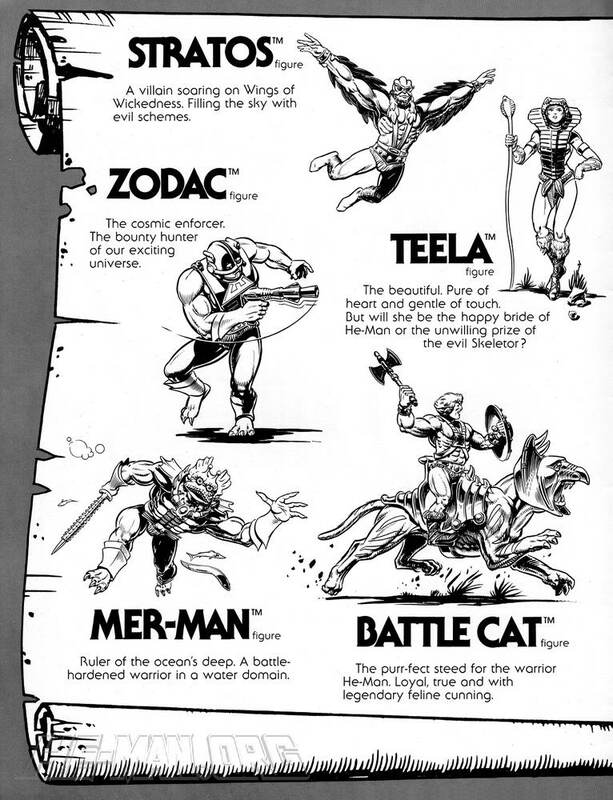 Zodac was originally called Sensor. 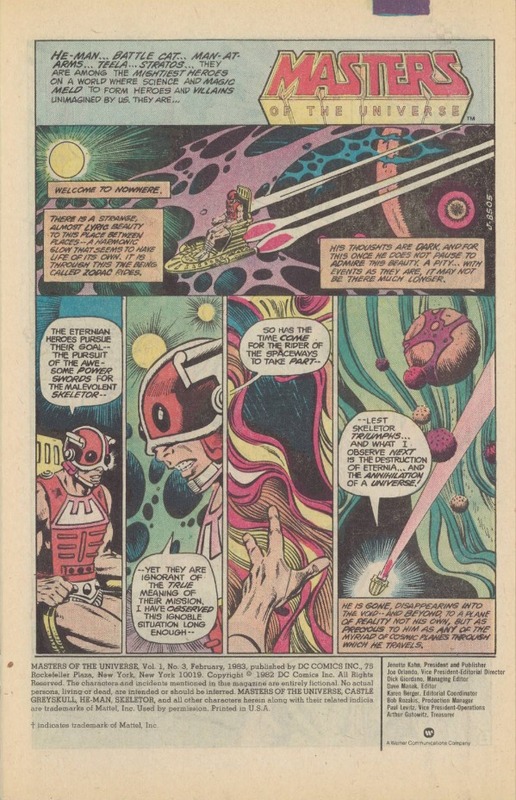 The idea was that his space-age looking helmet gave him heightened sensory perception. 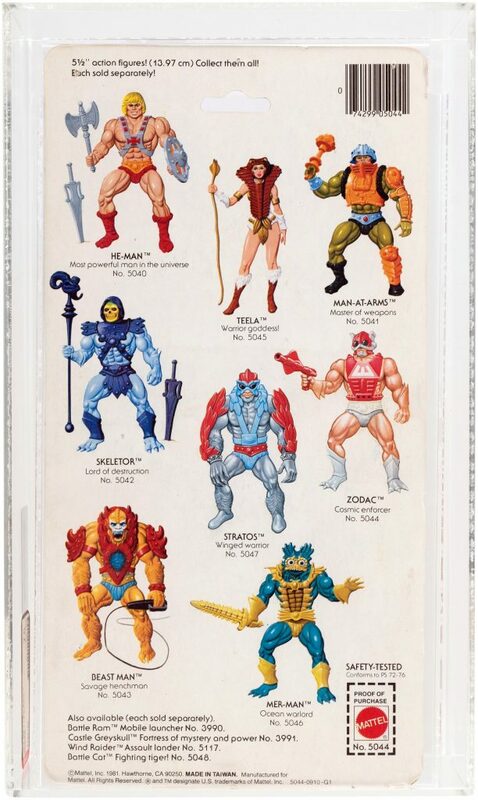 Image source: The Toys That Made Us/The Power and the Honor Foundation. Artwork by Mark Taylor. 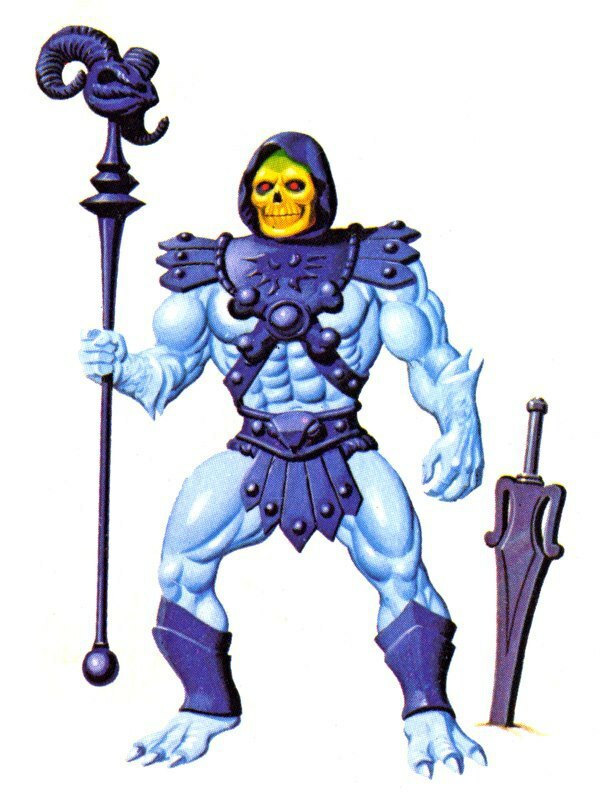 As indicated by the artwork above, the design stuck closely to the textured arm and leg sculpts used on the finalized versions of Skeletor and Mer-Man. 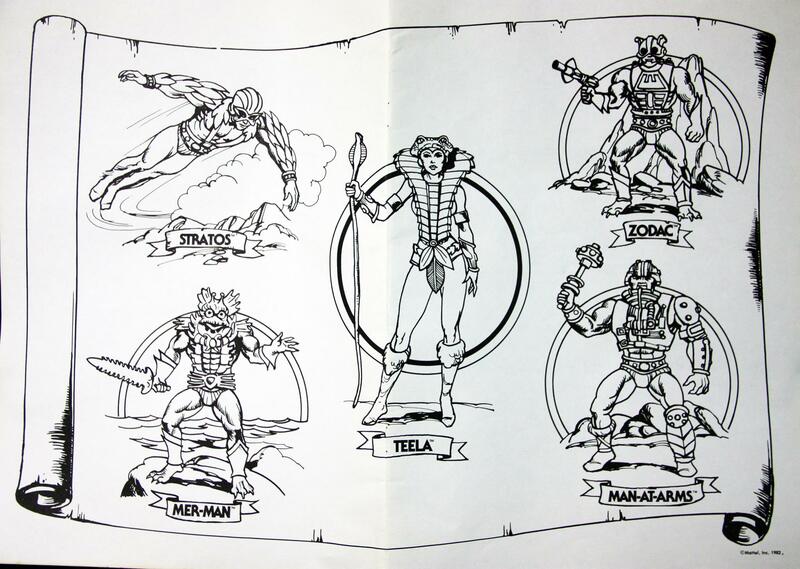 Zodac cross sell art. Image courtesy of Tokyonever. 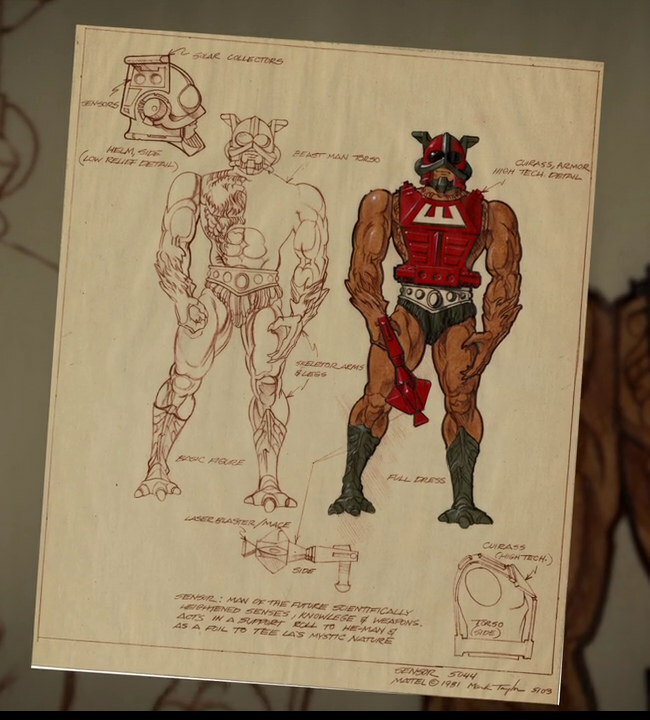 The prototype is somewhat different from the final figure. 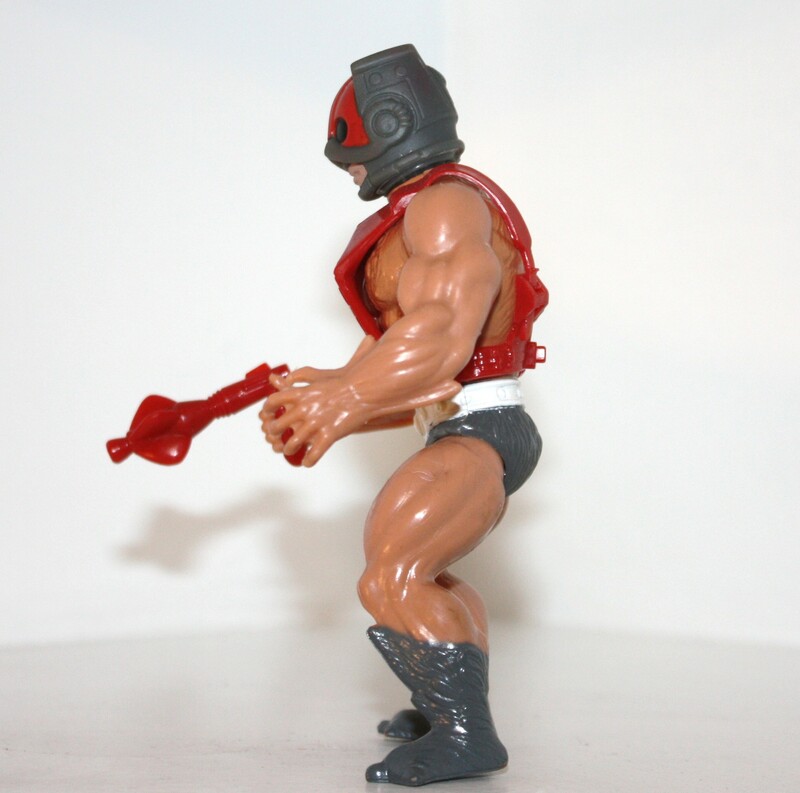 Like the b-sheet, the lower sides of Zodac’s helmet are red (they are painted gray in the production version). 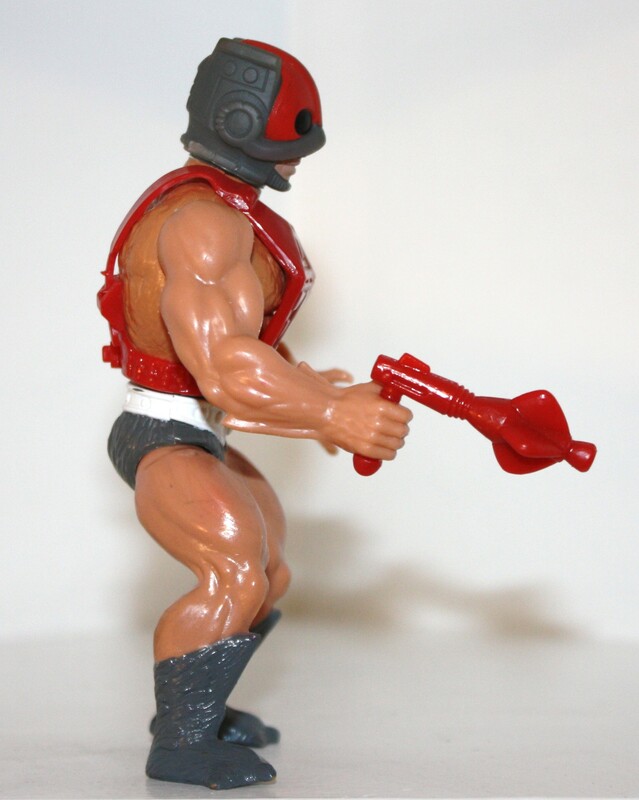 The white design on his chest armor is quite thick compared to the final toy, and the gun seems to have a wider barrel but narrower “fins” and a shorter handle compared to the toy version. 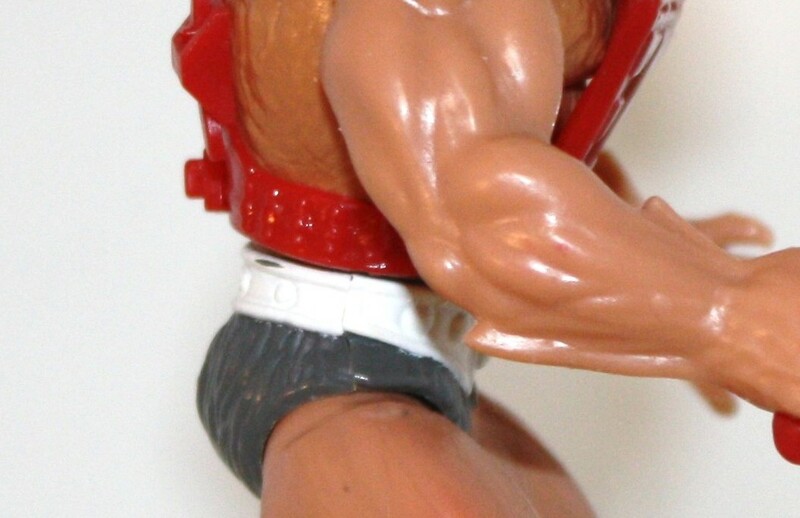 The very first Taiwan release has this unique-looking connector piece on the lower back. 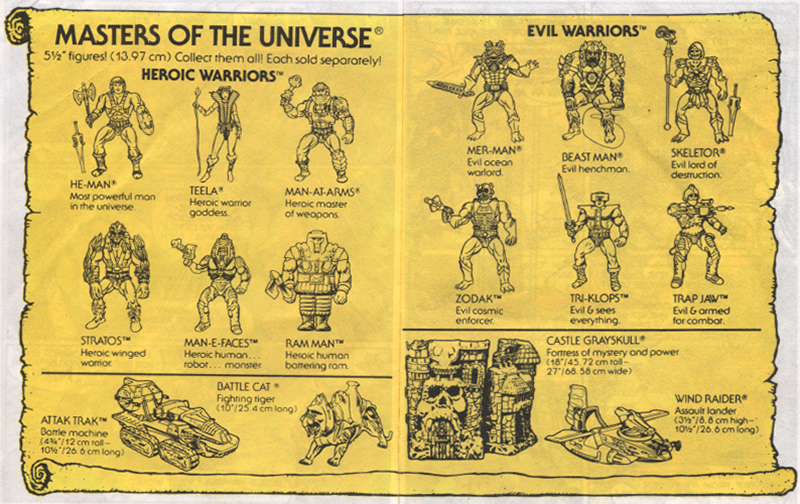 Subsequent versions have a more standardized look compared to other first wave figures. 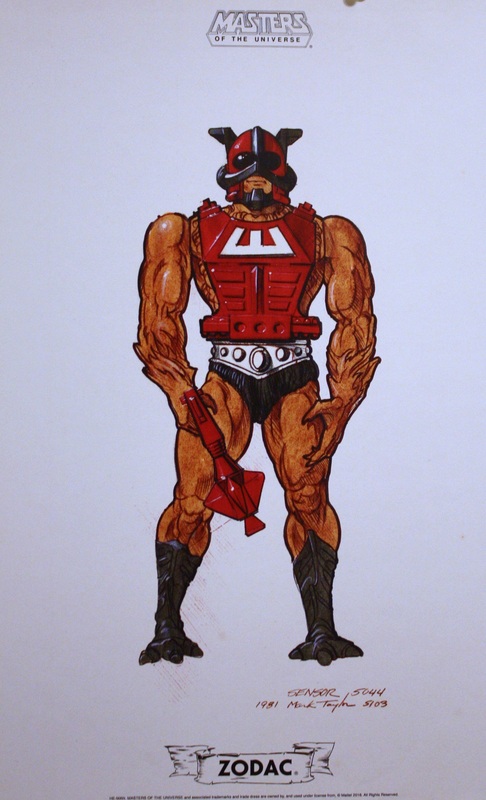 Zodac’s armor has “bullets” stored bandolier-style at the sides of his armor. I think that’s a really interesting touch, as you don’t normally associate laser pistols with bullets. 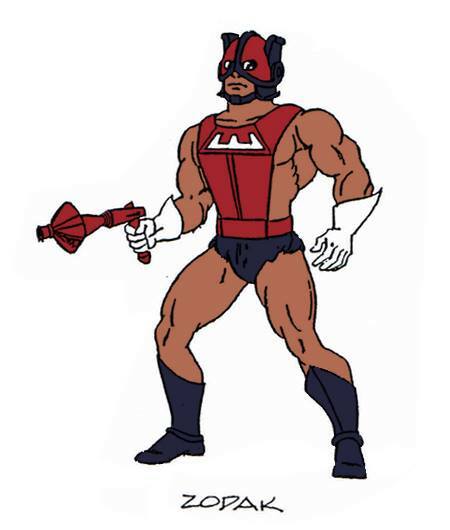 I like to think his weapon is a fairly primitive kind of laser pistol that can only get off one shot at a time using some kind of single-use cartridge – possibly scavenged from the post-apocalyptic wasteland. 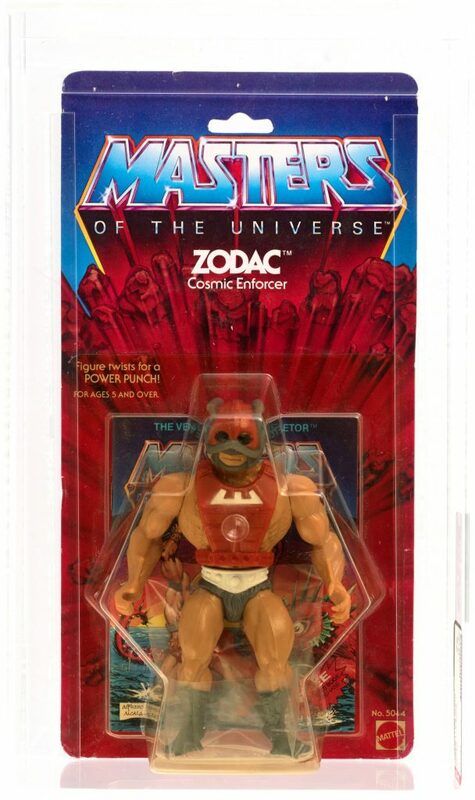 Zodac was originally sold on the “8-back” with the tag line, “Cosmic Enforcer”. 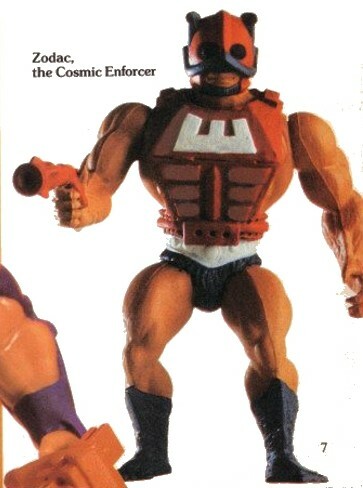 But what is a cosmic enforcer? 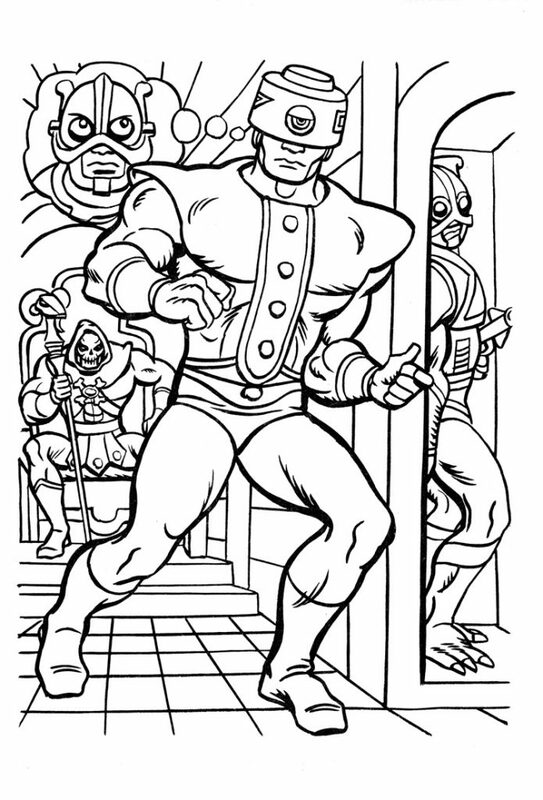 Sensor: Man of the the future scientifically heightened senses, knowledge & weapons. 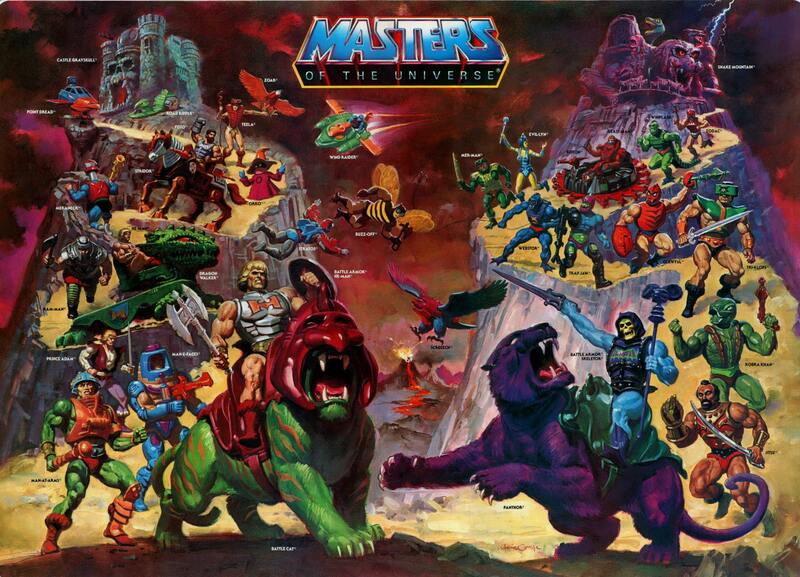 Acts in support roll to He-man and as a foil to Tee La’s mystic nature. 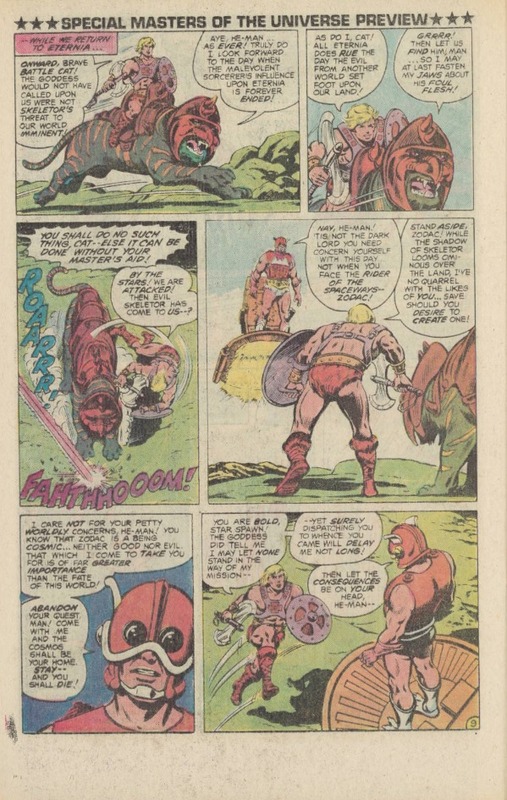 The bounty hunter thing didn’t stick, and Zodac very quickly became a kind of cosmic observer (much like Jack Kirby’s Metron character), intervening in Eternian affairs only when absolutely necessary. 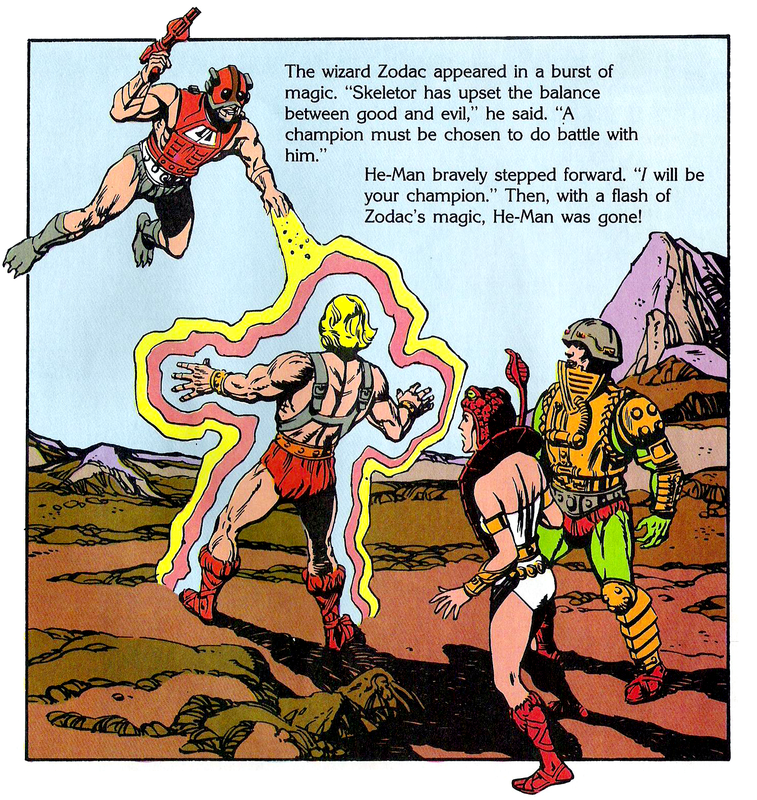 In the 1983 Sword of Skeletor by publisher Golden Books, Zodac is described as a wizard, but he serves the same function as the DC comics Zodac. 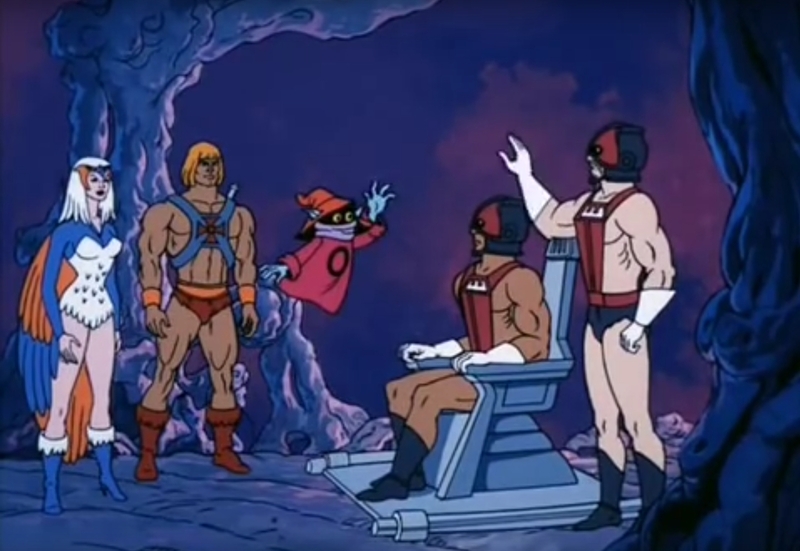 He intervenes to get He-Man into Castle Grayskull, so he can stop Skeletor, who has taken control. All of this is to keep the “balance between good and evil”. 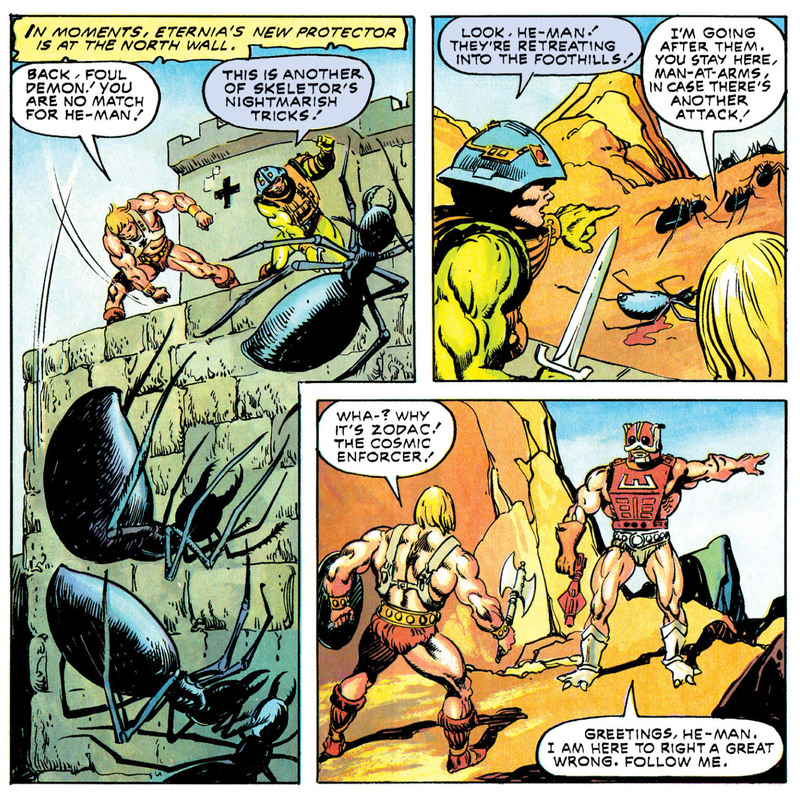 In the 1983 Filmation cartoon, Zodac is again presented as a Metron-like figure, stepping in at the last minute to indirectly intervene. 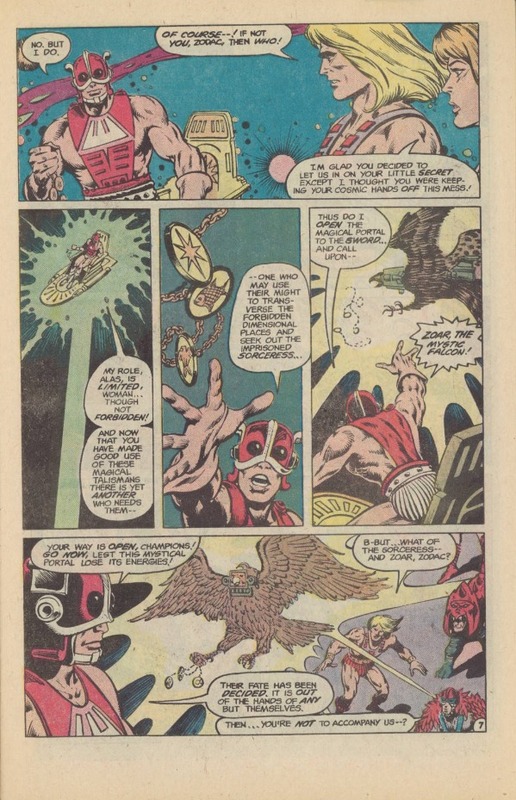 In some ways Zodac is also a kind of Eternian god. Zodac gathered the Council of Elders in the Hall of Wisdom and collectively they concentrated their mind force until the sheer power of their consciousness created a mighty force field. 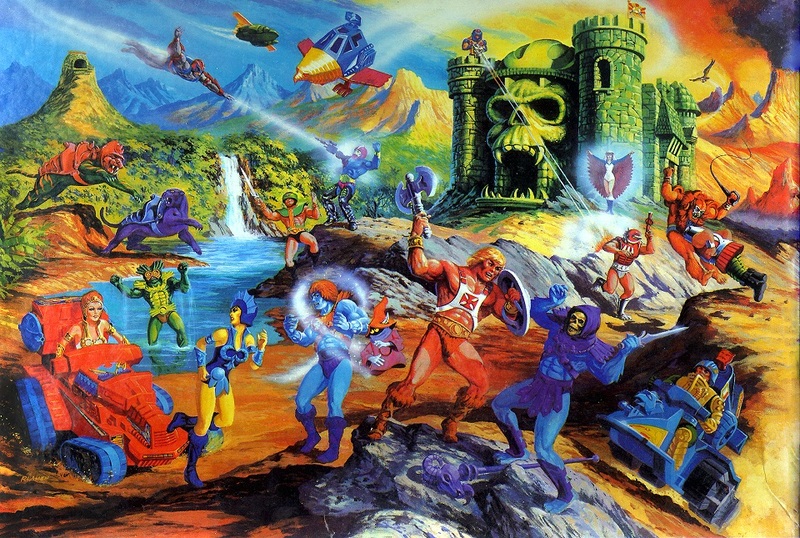 At that moment, an implosion cracked through the corridors of the Hall and the Council disappeared in a blinding flash of energy. 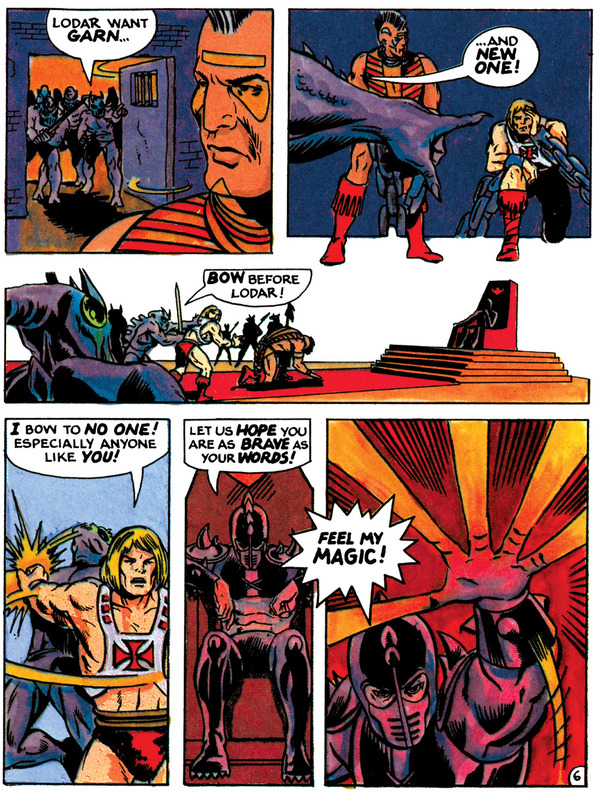 Only Zodac retained his human form as one of the Eternia’s guardians. 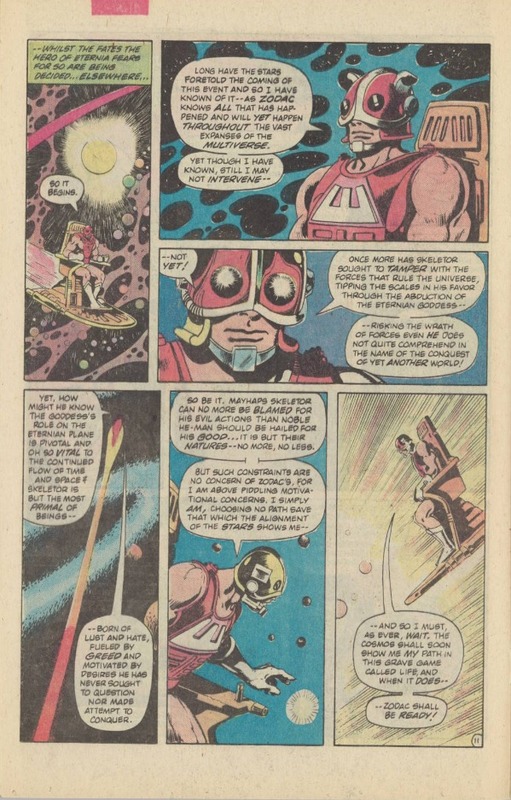 Although neither good nor evil, Zodac, the Cosmic Enforcer, has a vital role to play in this battle between good and evil. 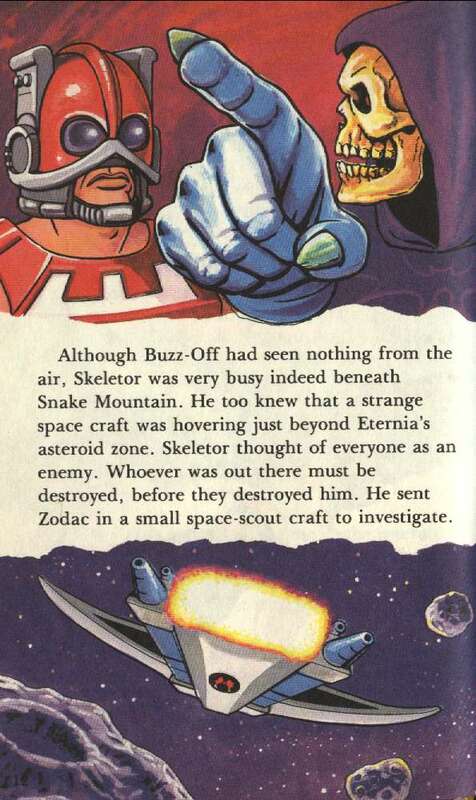 There have been many times when Skeletor has attempted to alter the balance of the universe – and several times when he has almost succeeded. In a situation like this, Zodac’s role is to prevent this – by tipping the scales to achieve another balance. 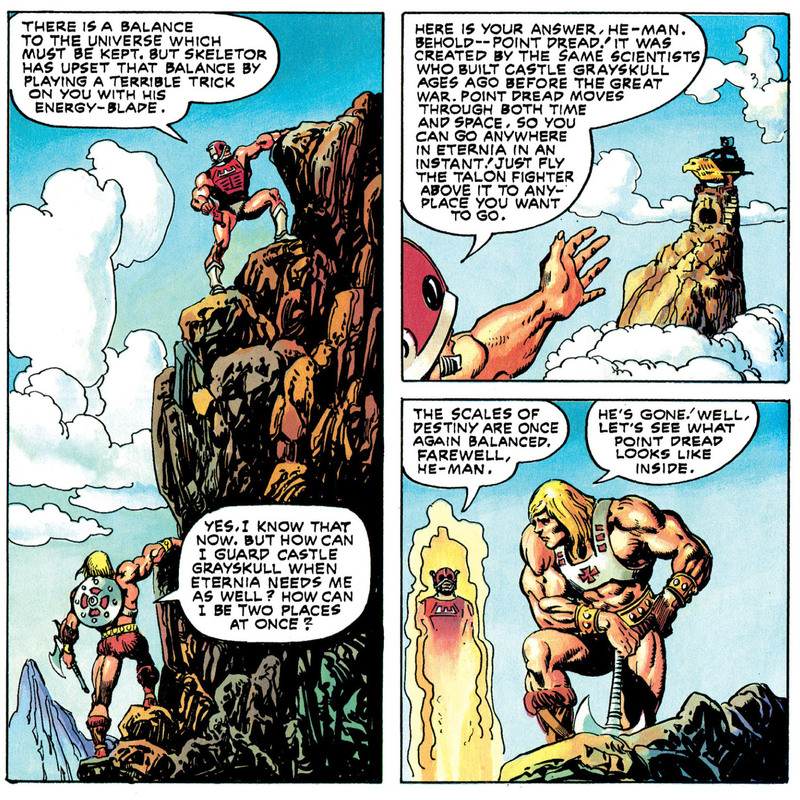 This often means informing He-Man of what his enemy is planning to do – or by showing him the future if Zodac is successful, so that He-Man himself can do something about it. 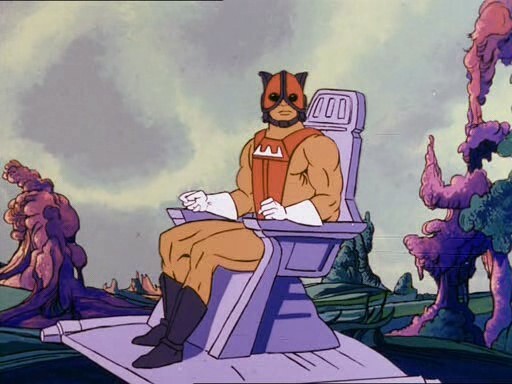 Zodac never interferes directly in the affairs of Eternia, but we may be sure that he is always watching. 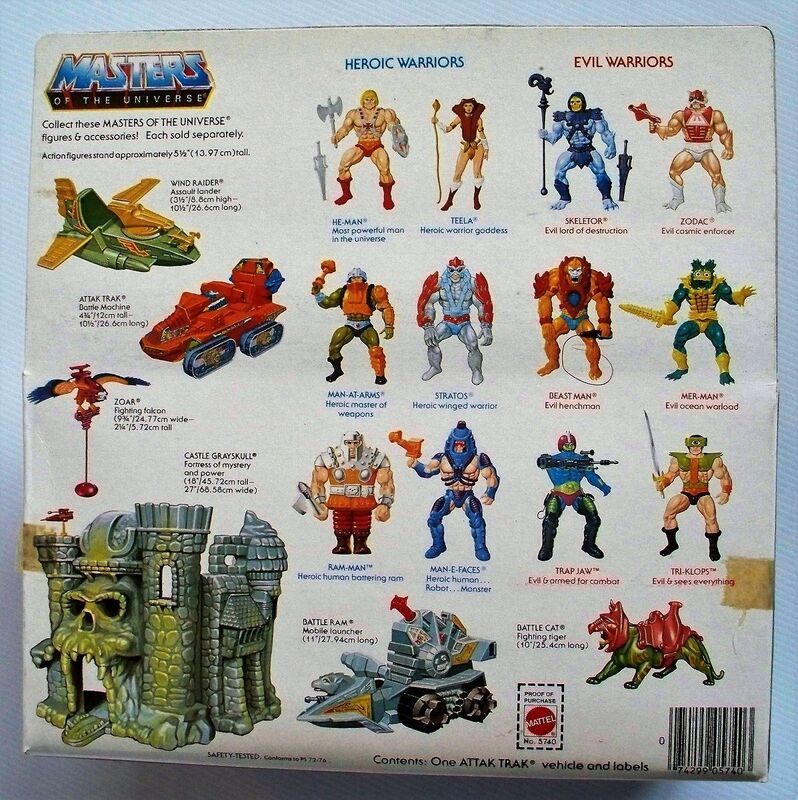 Obviously not everyone at Mattel was on the same page with the story line that had developed between 1982 and 1983. 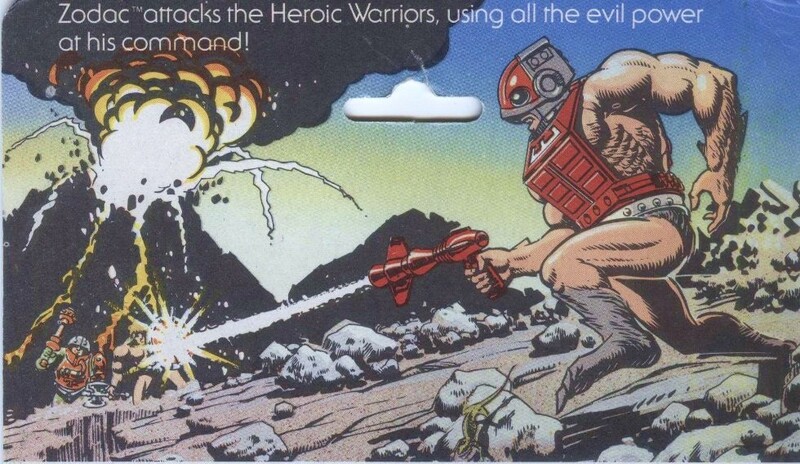 On the 1983 reissued 12-back card, Zodac is portrayed unambiguously as an evil warrior. 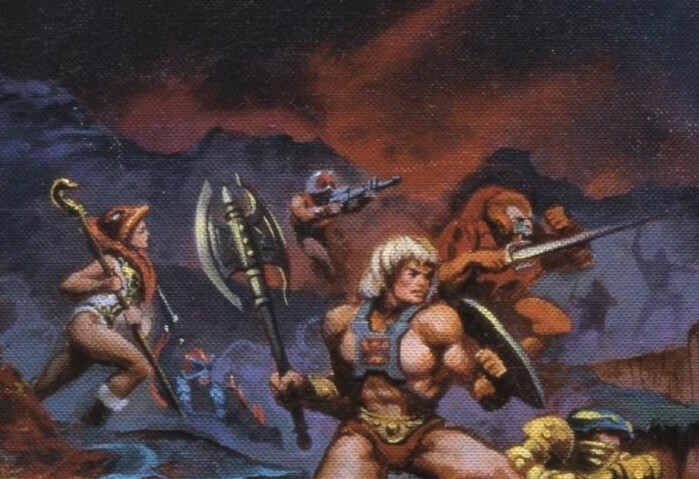 The artwork by Errol McCarthy shows Zodac attacking He-Man with his blaster. 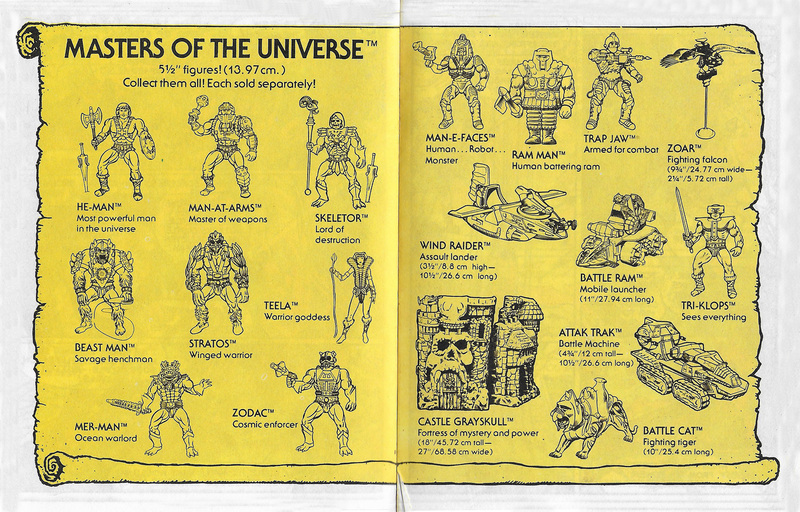 By 1983, cross sell art appearing in minicomics and on packaging rebranded Zodac as the “Evil Cosmic Enforcer”. 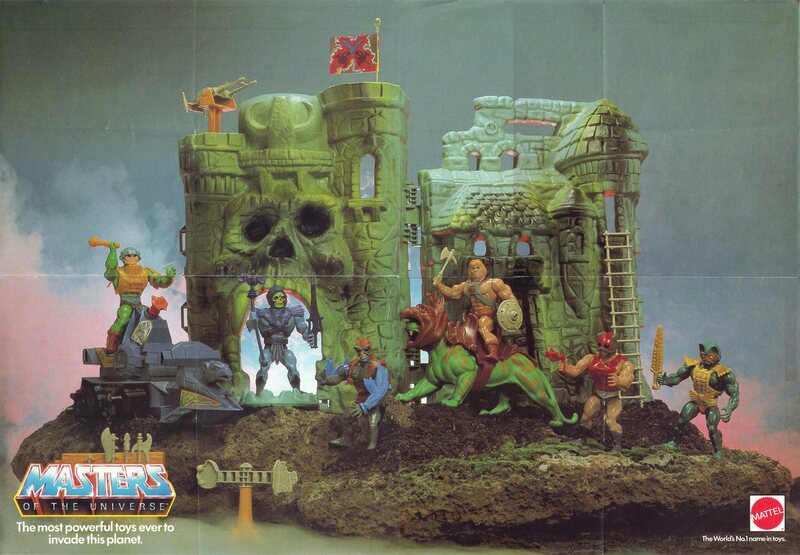 Image source: Vaults of Grayskull. 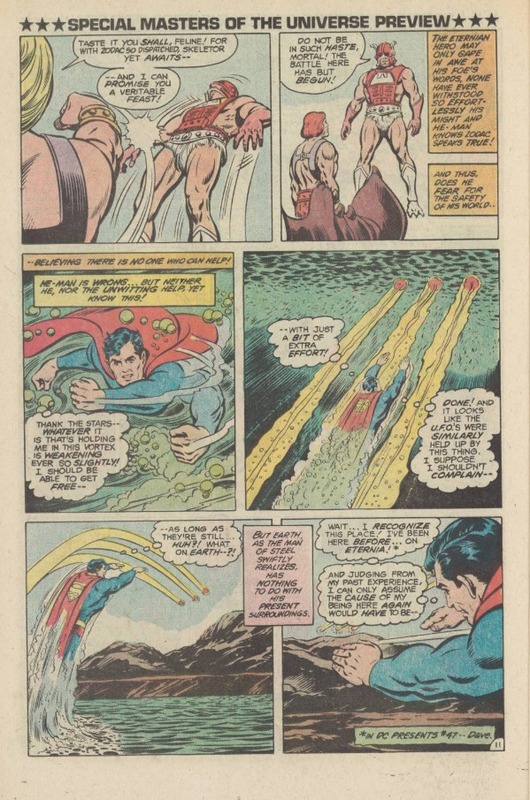 Notice that his name is spelled with a “K” here. 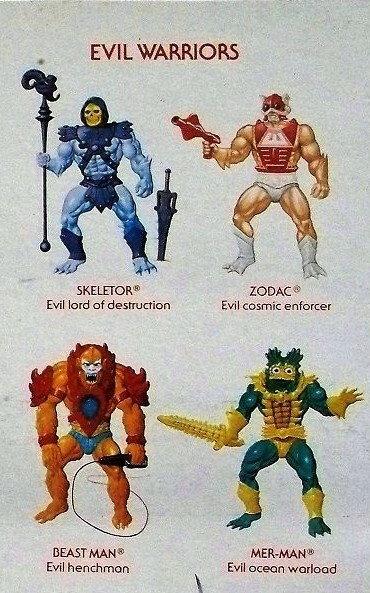 That spelling would later be used in the 2002 MOTU series. 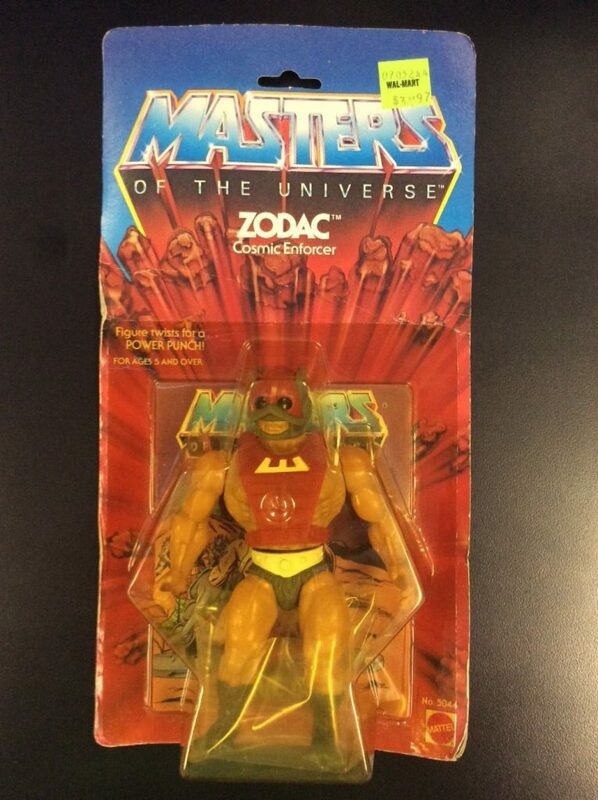 Zodac wasn’t heavily promoted, and I don’t remember him being all that popular with my friends when I was a kid. 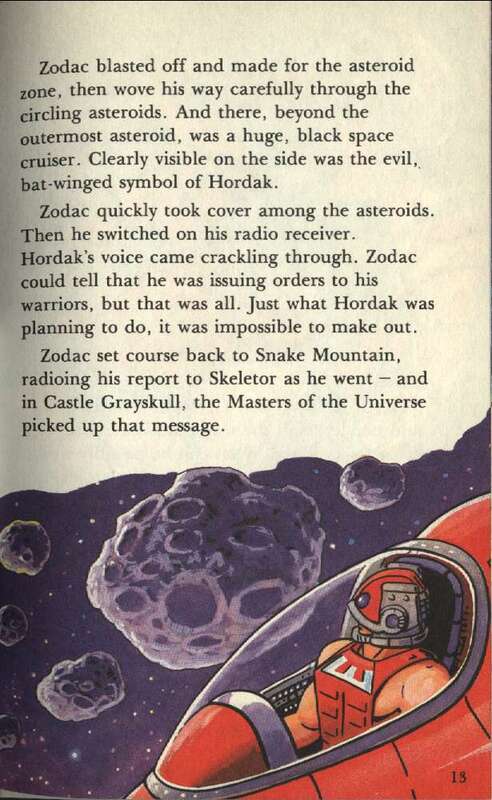 Maybe it was because we didn’t know what to do with Zodac. 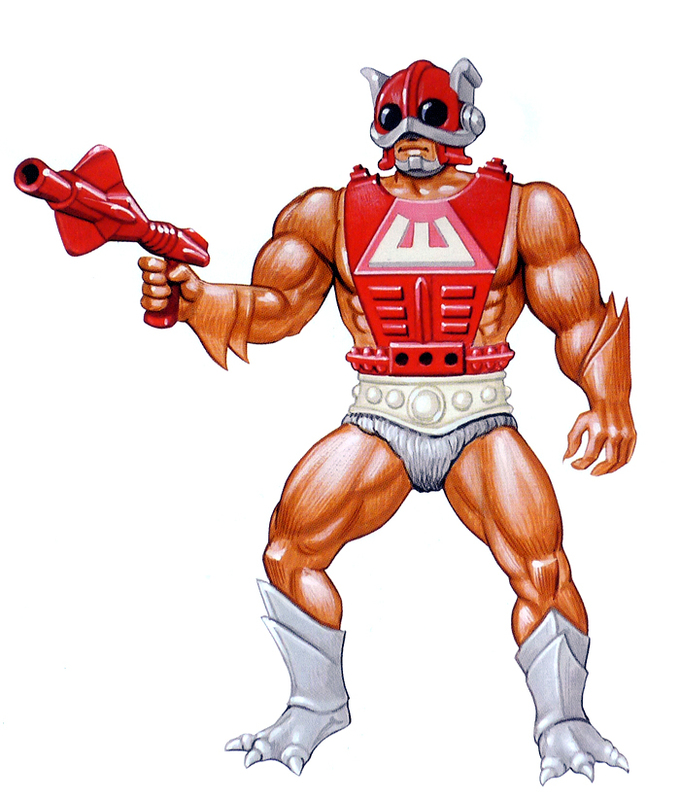 But like Faker, he has become something of a cult favorite among MOTU fans today. Special thanks to Jukka Issakainen for providing valuable feedback and several images.